The imagineNATIVE Film + Media Arts festival strives to provide an accessible environment and positive festival experience for all patrons. We are committed to developing and maintaining Accessibility for Ontarians with Disabilities Act (AODA) standards. All staff and volunteers have completed the AODA online training for more awareness and are attentive to our patrons needs. New this year: a “lobby pass” will be available at guest services desk at the tiff bell lightbox during the festival. The lobby pass is designed to assist guests who are unable to wait in the standard queue due to visible and nonvisible disabilities by providing them with early entrance into the cinema. The lobby pass is also available to elders. All of our venues are wheelchair accessible. All service animals, guide dogs, and support person are welcome at the venues. Please scroll down for more accessibility information. If you have any questions that are not covered below or specific accessibility requests, please contact our Guest Services Manager, Gina Rim at 416-585-2333 EXT 9 or guestservices@imaginenative.org. For more information about purchasing tickets and packages, CLICK HERE. If you're flying into Toronto Pearson International Airport, the UP Express departs from both Union Station and Toronto Pearson International Airport every 15 minutes. You can purchase them online or in person at both locations. 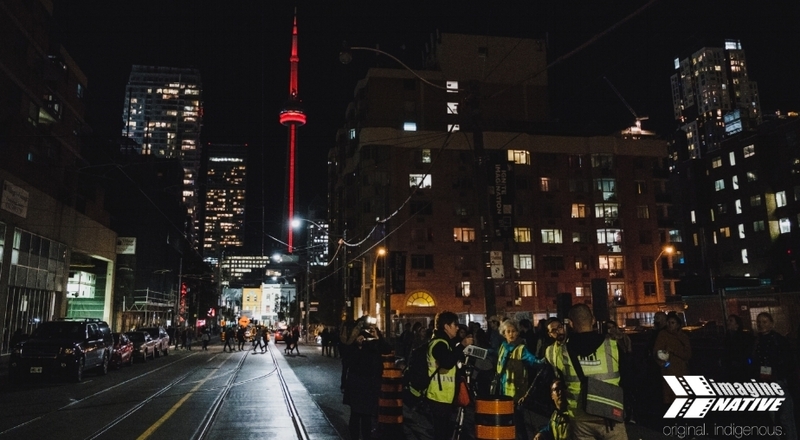 All screenings, industry panels and networks, and special events are easily accessible by Toronto public transportation TTC. Please note that talking to an operator by phone in advance is the best way to guarantee an accessible cab that fits your schedule. There are only a limited number of accessible cabs available and may take up to an hour unless you don't make arrangements in advance. For further inquiries, click the links above or contact them directly. As part of our commitment to developing and maintaining Accessbility for Ontarians with Disabilities Act (AODA), imagineNATIVE will have a "Relaxed Screening" during the festival. Relaxed Screening allows for a different cinematic experience that allows guests with various accessbility needs to have a positive experience at our festival. We aim to have a sensory friendly and inclusive environment.